Aspect, a leading manufacturer of solutions for contact centers and Microsoft platform solutions, has just published its survey on ‘customer service’ trends, where the degree of satisfaction of peoples with regard to the attention received is analyzed. As well as the communication channels used or the requirements for a good ‘customer service’ service. The study shows that are above the average in terms of the degree of satisfaction of the ‘customer service’ service, since 66 percent of respondents are satisfied or very satisfied with the service of ‘customer service’ received. The degree of satisfaction is closely related to the number of times the respondents had to contact the service to solve a problem. The survey asked how many times they had to contact a ‘customer service’ service the last time they turned to this type of service. A large majority (59%) only needed one or two contacts with the customer service to solve a problem. 32% needed to contact between 3 and 5 times, while only 6% needed more than 6 contacts. This reflects that the degree of satisfaction in is very high. If we look at the means of communication used by when contacting a customer service, we note that the mail (55%) gains ground at the telephone (33%). In addition, social networks or applications for smartphones are not yet mature means for ‘customer service’, since they are only used by 5% and 2% respectively of the respondents. It should be noted that mobility is imposed since 60 percent of respondents have contacted a ‘customer service’ service while on the move. 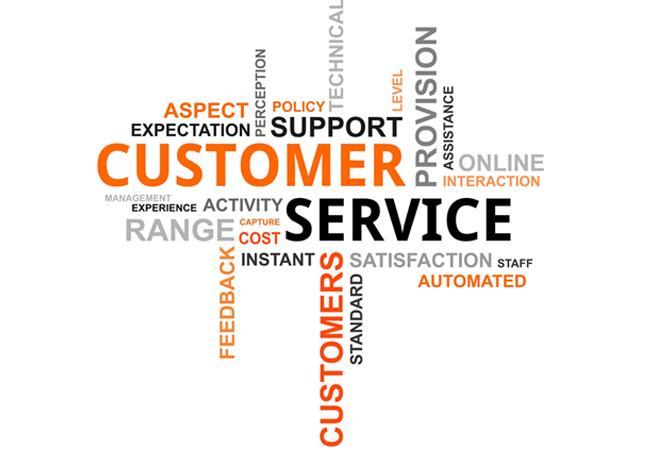 The survey also analyzes the requirements necessary for a ‘customer service’ service to be good. Consider that the most important requirement is the speed at which to offer a response (43% consider it very important). Other important requirements considered by the are: security in the handling of personal data (37 percent), kindness in the deal (42 percent) or the possibility of being able to access an expert if necessary. It should also be noted that 19 percent of consider it very important to be able to use a customer service through social networks or smartphones. This means that although only 5% of make use of these new communication channels, many people see in them a lot of potential to make future contacts.